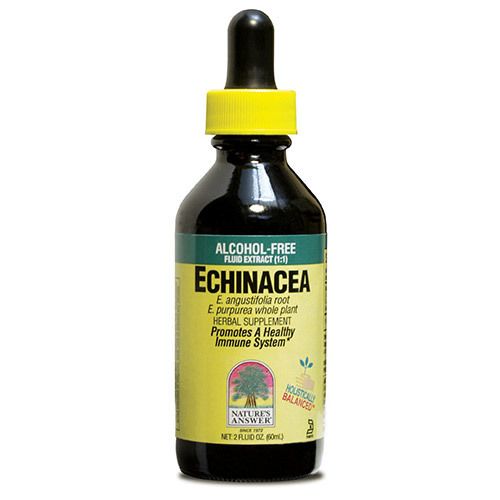 Nature`s Answer Echinacea Root is an alcohol-free, Kosher parve fluid extract which promotes a healthy immune system. 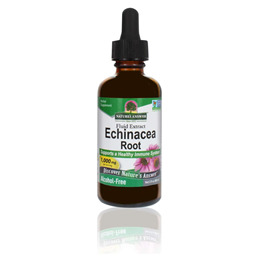 Echinacea E. angustifolia Root Fluid Extract, Echinacea E. purpurea Whole Plant Fluid Extract. As a dietary supplement take 1ml (28 drops) 3 times a day, in a small of amount water. May double frequency for 2 days maximum. Below are reviews of Nature`s Answer Echinacea Root - 60ml by bodykind customers. If you have tried this product we'd love to hear what you think so please leave a review. We use this when we feel colds coming on to try to ward them off. Tastes ok in fruit juice.